Winning asset management firms are increasingly separating themselves from the pack, according to an annual study by Casey Quirk. The gap between the winners and the losers is widening. And increasing revenues is no longer a guarantee that profits will increase too. The golden age of asset management appears to have finished. The study, ‘Investing for Growth, Performance Intelligence 2018’, was jointly undertaken by Casey Quirk, a practice unit of Deloitte Consulting, and McLagan, a business unit of Aon, an asset consulting and insurance broking company. It found that 31 per cent of firms globally were cutting costs but still contracting. The study says: “Between 2014 and 2017, 25 per cent of the asset management firms studied have found a way to invest in their businesses while increasing profits versus another 44 per cent that are investing in their firms but not seeing returns, and 31 per cent that are simply cutting costs and contracting. “While revenue and profit growth are still highly correlated, increasing revenues is no longer a guarantee that profits will march in step. In an environment of fee compression and pervasive passive investing, profitable growth is becoming more difficult to achieve. “It was only a few years before, between 2011 and 2013, when approximately 40 per cent of asset management firms were able to grow profitably. Profitable asset managers increased median margins to 35 per cent over the past three years versus their competitors at 31 per cent. Casey Quirk says that the asset management industry will continue to bifurcate between winning firms growing profitably and those that will lose out by only increasing revenues and not profits or by experiencing revenue contraction. Overall, asset managers that have a lower cost structure and higher efficiency per employee better focus their efforts on in-demand investment strategies. They have experienced a 4.6 per cent organic growth rate over the last three years. Investing in products that show promise for future growth and minimizing exposure to stagnant, legacy products . Outsourcing noncore services, such as middle and back office functions. The study highlights that significant investments in technology can bolster many areas of the business, including the investment and distribution teams. Those firms that spent heavily on strategic technology to support their investment teams since 2014 saw a 44 per cent increase in profits per employee. Additionally, asset managers that invested in technology to support their sales operation during the same time period had a 40 per cent increase in productivity per salesperson. 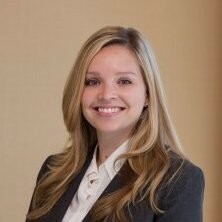 Amanda Walters, a senior manager at Casey Quirk, said: “Tomorrow’s successful asset managers must be nimble, willing to invest in strategically significant areas of their businesses, like technology, and outsource those skills that are not part of their core competencies, such as middle and back office functions. As Casey Quirk previously reported, assets under management for publicly traded firms in the study increased 16 per cent in 2017 to US$16 trillion, while organic growth from net flows remained low at 3.4 per cent. Operating margins for public asset management firms in the report rose to 31 per cent, up from 29 percent in 2016, but these factors were largely driven by capital markets appreciation. A market downturn could significantly alter these characteristics. The addition of private firm data does not meaningfully change the outcomes. The 2018 ‘Performance Intelligence’ study included 95 investment management firms headquartered in North America, Europe and Asia Pacific, investing more than US$35 trillion for institutions and individuals.